Hi all! Instead of doing a regular Wax Wednesday post I thought it would be fun to share my first thoughts on the Bonjour Wax Co. Practically Perfect Mary Poppins themed box. Bonjour has been a favorite of mine pretty much since I got into melting wax, and her themed releases are always perfect. 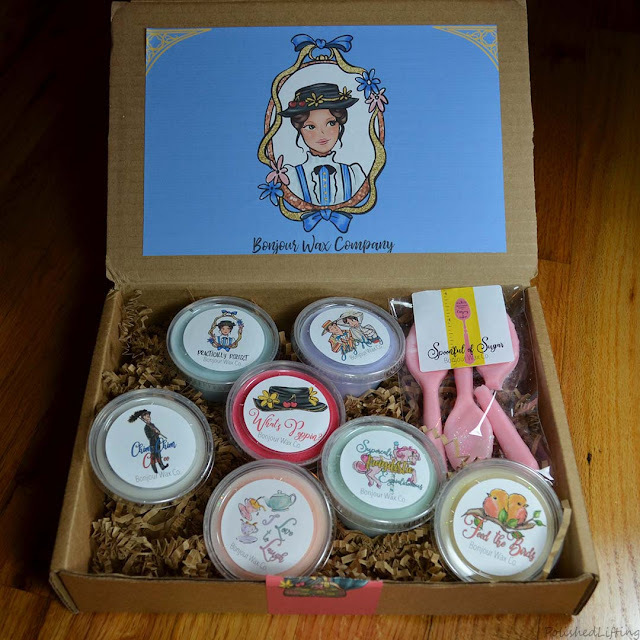 The wax only version of the Practically Perfect box came with eight wax melts, one of which was spoon shaped. This version of the box retailed for $28 including shipping. Aren't they just cute! This whole box is perfectly Mary from start to finish. Everything in this box smells great with a quick sniff, and I'm really looking forward to melting all of these. If you want to hear more about my first thoughts you can find a full unboxing video below! This box was only available for preorder, but Bonjour is always releasing fun new scents. Be sure to check out the links below to stay in-the-know! 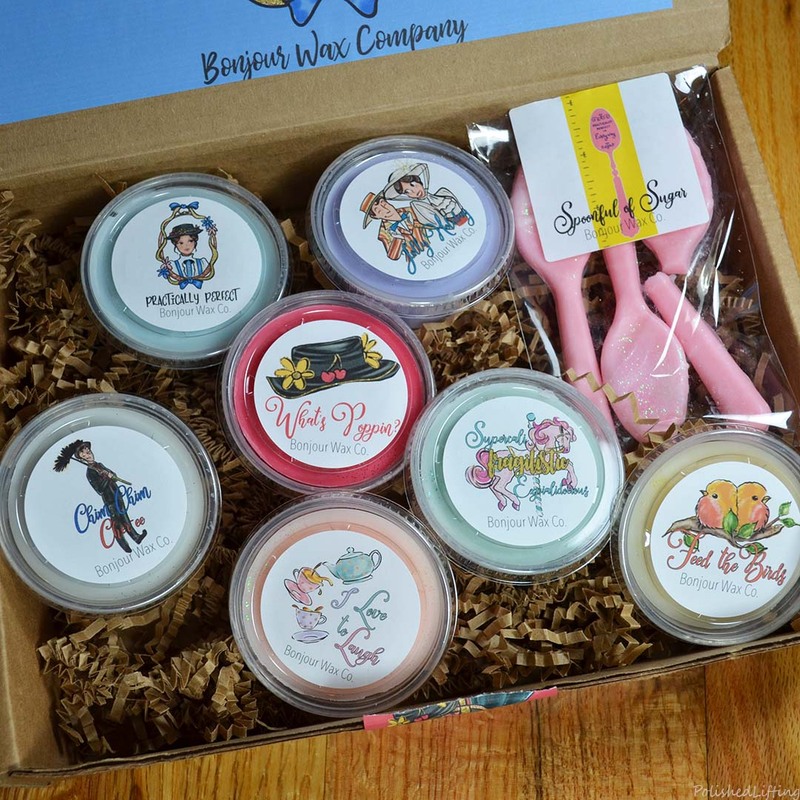 If you enjoyed this post you might like Bonjour Wax Co. Galentine's Day Sampler and Bonjour Wax Co. Christmas In The Car With The Belchers.